Observing the presidential contenders in action (in debates and interviews) is an excellent opportunity to witness the impact of communication style. You don’t need to be a political pundit to see that Republicans don’t like Mitt Romney. Just about every other Republican contender has, for at least a few weeks, challenged his front-runner status. Republican voters seem to want to find any alternative to this polished (too polished?) and articulate (as long as he’s debating and not responding to a media query) candidate. Voters are leery about his inconsistent positions on important issues. David Gergen, presidential advisor and CNN political analyst, observed in an article in Parade Magazine this past weekend, that Americans feel as if they don’t really know the candidate. He seems inauthentic and therefore not trustworthy. 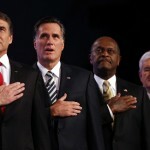 Herman Cain suspended his candidacy yesterday after a non-stop series of women challenged his “holier than thou” image. Politicians’ personal lives shouldn’t sway our decisions about their competency to handle elected positions. But Americans don’t tolerate inconsistencies between what politicians say and do. A definite trust-buster. Frankly, Cain’s other mistakes were to 1) blame the media for taking him off-message (it’s not the media’s job to allow you to stay on-message); and 2) deny responsibility (haven’t politicians learned that their audience doesn’t want to be lied to?). I am still waiting for voters to apply the same high standards that they do to personal values and actions, to political promises. When that happens, all candidates — whether Republican or Democrat — will truly do what’s best for all Americans. 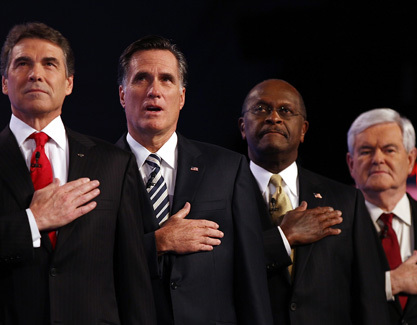 Rick Perry brought us the “Perry moment.” Since that fateful Republican debate, Perry is no longer known for his positions or even the mistakes he makes (e.g. about the voting age…). He’ll be forever associated with his mind going blank when under pressure. The problem wasn’t that his mind went blank (which happens to all of us), rather that he forgot the third of three messages that supposedly represented his core convictions. Made you wonder whether they were deeply held beliefs or just political rhetoric. Not to mention that being President of the United States is a really high-pressure position, so we’re left wondering what he might say — or forget to say — if he were elected. Newt Gingrich’s communication style seems intentionally provocative and unintentionally revealing about troubling beliefs. His delivery mocks and disrespects the people he hopes will elect him. People are definitely talking about Newt Gingrich — and he’s taken the lead in the polls in Iowa — but the majority of the conversation is critical...as it should be! I’ll save an exploration of President Obama’s communication style for another blog. Our words and actions need to be aligned. Nail your three core messages. If you can’t remember them, why should anyone else? Focus on why you have the position, the seat at the table, the opportunity to speak at a conference…Think about your successes and accomplishments — give yourself a silent, in-the-moment pep talk! Don’t wing it when meeting people for the first time. There is no excuse today not to be prepared with insights about a prospective client (both the company and individual). It’s easy to do a quick Google search or check someone’s profile on LinkedIn, yet it always impresses the other person, which boosts your confidence! 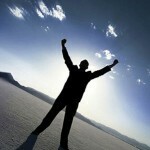 Use that preparation to help you shape your point of view and then own it! Deliver your point of view eyeball to eyeball! Banish tentative language. “I think…” “We might…” “I’m pretty confident.” If you don’t sound like you believe in what you’re saying, why should anyone else care? Don’t fidget. No nail biting or cuticle picking or hair twirling or pen clicking or coin-rattling in your pocket. Stand tall. Excellent posture exudes confidence. If seated, lean into the conversation vs. retreating into the back of your chair. Smile. 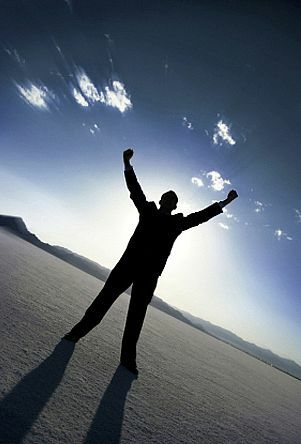 Remind yourself that you’re happy to be there, in that situation, at that event, at that moment. Anticipate conversation starters and questions that will demonstrate sincere interest in others. Look confident. Dress the part. 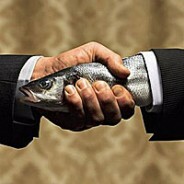 Beware of the “wet fish” handshake. When you enter a conference room or restaurant, put your hand out to confidently shake the other person’s hand. Have a firm (but still friendly) handshake and make eye contact. The next time someone says to you, “you just need to be more confident,” remember these ten suggestions. With that tip in mind, I wanted to share a quotable quote in this morning’s Boston Globe Magazine article, Are 3-D Mammograms a Breast Cancer Breakthrough? “It’s a step, but it’s a step by a person who has a stride of 7 feet,” said Dr. Elizabeth Rafferty, a radiologist at Massachusetts General Hospital’s breast imaging clinic, of the promise of new 3-D mammograms for detection and fewer false alarms. This is a brilliant example of a quotable quote. In one concise, visual statement the spokesperson puts this announcement in crystal clear perspective. But not a baby step, as we’ve heard about so many other medical announcements. The doctor wants us to understand the huge potential of this announcement, “a step by a person who has a stride of 7 feet.” A really big step. This single, memorable sentence helps us understand how to think about this announcement. What notable quotable quotes did you read today? 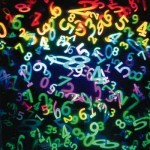 Tip for Executive Spokespersons: Beware of numbers that don’t tell your story! 7.1 million iPads sold in 2010. China’s population is projected to be 1.4 billion by the end of 2011. Those are big and impressive numbers. Tyler Perry’s movie grossed almost $26 million during it’s debut weekend. That already large number sounds even more significant when compared with two other movies that also debuted this past weekend: “Water for Elephants” grossed $17.5 million and “African Cats” grossed only $6.4 million ($20 million dollars less than “Tyler Perry’s Madea’s Big Happy Family”). 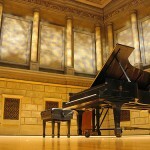 What about the fact that there are forty concert grand pianos in the basement of Steinway Hall in NYC? Forty raises more questions than it answers. 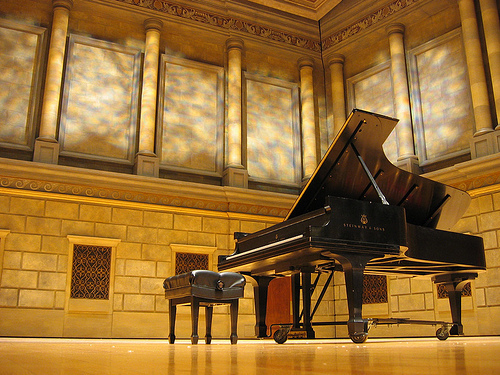 How large is a concert grand piano? What does a room look like filled with forty pianos? Are the pianos in the basement dusty and decrepit…unsellable? What happens when we add to the story that those forty pianos are waiting to be requested by one of the world’s top performing artists as their piano of choice during a concert performance or recording? With just a little more context, the number forty is actually quite significant! How about when a company announces that it has fourteen research experts in major markets around the globe. What does the number fourteen tell us? Not much — in fact it seems a bit paltry — unless we know that the company’s two top competitors combined only have eleven. Executive spokespersons are encouraged to include statistics when talking with the media about corporate or product announcements. They just need to make sure that the data they share isn’t just a number. I just watched a CNBC interview with a CEO (no need to disclose the CEO’s name or his company). Critiquing what the CEO did well — and what he could have done better — is an opportunity to share some real life spokesperson DOs and DON’Ts. Given today’s news about the devastating earthquake and tsunami in Japan, the CEO started his interview correctly by expressing genuine concern and empathy for the people of Japan. He delivered his key messages and repeated an important message more than once. The CEO reframed potentially negative perspectives paraphrased by the reporter in order to communicate a more positive company stance. The reporter said, “…The news must be a win for your company.” The CEO replied confidently, “The news is a win for consumers.” Bravo! In an attempt to demonstrate the company’s commitment to their customers, the CEO said that his company “thinks of customers as friends.” Unfortunately he took a positive point about wanting to deepen the company’s relationships with their customers to an unbelievable extreme. Just sounded silly. He beat us over the head with his key message. Once is good; twice can be better if the actual wording or context of the message delivery is different. More than that begins to feel overly scripted and opportunistic. The reporter asked a tough question and the CEO handled it, calmly responding that he had nothing to add to the information already released on the issue. (Better than saying “no comment.”) But then he kept talking and ending up mentioning the negative perceptions that he was hoping to avoid. It’s almost always better to stop talking after you’ve answered a tough question. Overall, the CEO did a very good job. There are teachable moments everywhere for corporate spokespersons who want to polish their media interview skills. Start paying attention to executive interviews–whether on CNBC, the nightly news or in print media and do your own constructive critique. What is the spokesperson doing well and what would you do differently? In the news this morning there were three short celebrity stories that begged a 101 tutorial on reputation-building or at least on avoiding reputation-busting. Beyond our seemingly endless curiosity about celebrity behavior, it’s worthwhile to think about lessons we can apply to our own reputations. John Galliano apologized for his drunken anti-semitic rants after he was fired from his job as creative director at Christian Dior. 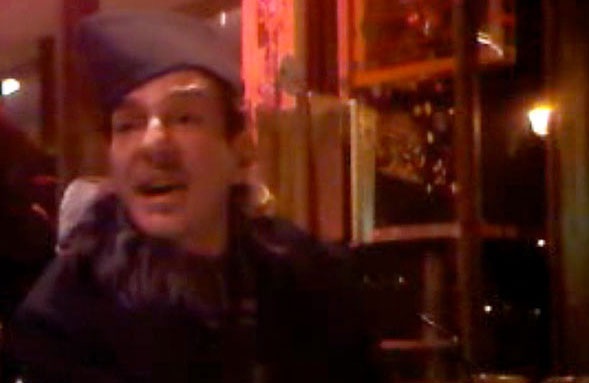 Dior was concerned that Galliano’s reputation for inspired dress design was being overshadowed by his now infamous reputation as an out-of-control and hateful drunk. Like Mel Gibson, Galliano will be going to rehab, hoping not only to deal with a drinking problem and bad behavior but also hoping to rehab his reputation. Clearly what Galliano says matters. What you say offers the world a peek at your values. Will what you say (in conversations, in interviews, in public appearances) enhance or tarnish what you want to be known for? 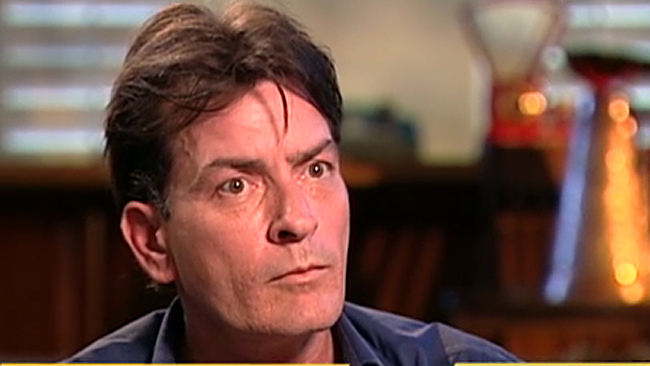 Charlie Sheen was back on the news within hours of his children being taken away from him. No need to recap his too-many-to-count missteps lately. He says he’s “winning” and in control. But the cumulative impact of his ego-centric words and actions is that Sheen is spiraling downward. While he was previously thought of as personally wild but with some impressive credentials, his reputation is now consumed by his decline. Clearly what Sheen says and does matters. What impression do your words and actions leave with the people watching and listening (your clients, managers, employees…)? So how’s your reputation? What are you doing to help or hurt it? Of course the morning after the Oscars is a fun time to reflect on the celebrities’ dresses. 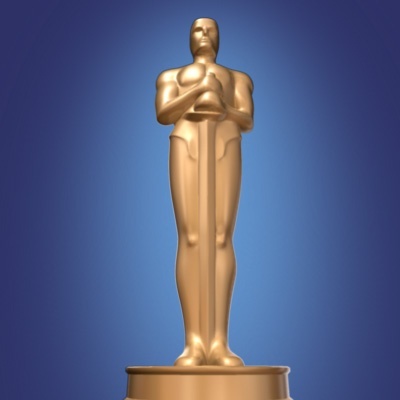 But as USA Today noted in their morning-after article, “Oscar show mixes old and new…, there were also several quotable quotes that serve as lessons for spokespersons and presenters. Grab their attention with an unexpected opening: Not all awards capture our full attention during a more than three-hour broadcast. People might have missed the winner of best art direction (Robert Stromberg for Alice in Wonderland) had he not opened with the line, “Why didn’t I lose that 20 pounds?” I might have scripted a slightly different surprising opening line so that he’d be remembered for his craft and not his weight…but he absolutely caught our attention in a night mostly centered on the rush of beautiful celebrities. The audience is all yours during the first few seconds after you step to the microphone. Use those precious seconds well! Say it don’t slay it: Last night’s Oscars show was all about targeting a younger audience. The hosts mentioned early on that they were chosen to be “cool and hip.” Then they said it again…and again and again in case we forgot. Don’t abuse your quotable quotes. Beware of trying too hard to be funny: Justin Timberlake’s reference to Bansky (the street artist legend) and James Franco’s reference to a text message from Charlie Sheen both were scripted to be funny but fell flat. Timberlake’s reference felt like an inside joke and Franco’s comic timing was off (sadly for much of the night). Beware of humor…it’s hard to pull off. Don’t ramble: It was painful to watch the too-many award recipients who rambled. If overcome with emotion, as I’m sure they were, they would have been much better served by standing tall and saying, “Thank you. I am humbled by this distinguished award.” At least they might have been remembered for being poised and coherent. Finally…Stay in the moment: Melissa Leo reminded us early on in the evening about the hazards of stepping out of the moment. Her foul language reverberated in the theatre and was broadcast live to an audience of a billion people worldwide. 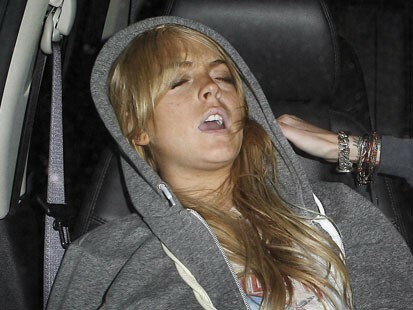 Her excuse on the morning talk shows today was that she was swept away by the moment. Sadly her inappropriate comment may be remembered long after people have forgotten who won the award for best supporting actress in 2011. Stay in the moment and be very aware what that moment is all about. Here are 10 executive spokesperson tips — in their own words — from just a few recent media training sessions. Several years ago Business Week reported that the typical U.S. executive has an on-the-job attention span of six minutes. According to the Northwestern School of Speech, the average attention span of an audience is nine seconds or shorter! Notice how long it takes for someone (everyone) attending your next meeting to serepticiously check their BlackBerry for the e-mail, BBM or instant message that announces its arrival by vibrating, successfully interrupting your audience’s ability to listen to you. Technology has rewired our brains so that we require more constant stimulation. That means as speakers we need to present in short “scenes.” In each scene there needs to be one major point or takeaway (a nugget). And the way you deliver that major point lets the audience know that what you’re saying is important. Just to make it harder for you to keep your audience engaged, the average presenter talks at a rate of 120 words per minute, but the human brain can receive input at a rate of from 400 to 600 words per minute. The mind wanders during the idle cycles. The answer isn’t to speak more quickly (though many try). Break the monotous pace of slide after slide with bullets (slide alternatives to bullets is the topic for another blog) by telling a story that is relevant and compelling for your audience. Make sure there’s drama, suspense, protagonists and antagonists. And remember to shift your body language as you change from delivering slides to storytelling. By changing your delivery you signal to the audience that they’re about to experience something different and special. Introduce visual aids or props to make your point and whenever possible invite your audience to engage with the prop. Move! Step away from your laptop or the screen or the podium. Move as if you want to get closer to your audience. These are just five of the many ways you can actively hold onto your audience’s attention. What others can you think of? It’s not your audience’s responsibility to stay tuned in. It’s yours. A company makes an announcement — ideally about an exciting product or service launch — and typically in about the third paragraph of their news release there’s an executive spokesperson quote. From the company’s perspective this is an opportunity to convey a message in the first person voice that the company hopes will get picked up in media coverage. From the reader’s perspective, the executive quote is a peek inside the company, a chance to learn a little bit about the company’s personality and values. But the quote is too often a missed opportunity and a disappointment. Here are the three biggest mistakes you see in executive spokesperson quotes. The quote is boring and generic. You learn nothing. Blah, blah, blah. Instead the quote should capture our interest and be specific to that company, that spokesperson and that moment in time. The quote states the obvious. For example, a CEO saying, “I’m very pleased that our company is growing.” Really? What a surprising statement. The quote is written in corporate-speak, overly stilted and formal language. Spokesperson quotes should be in conversational English. For example, how would that executive share the company’s exciting news if he was speaking one-to-one with someone he likes and respects? The best executive spokesperson quotes on paper — and when delivered live in an interview — are those that sound trustworthy, reveal the executive’s passion for what he’s announcing, and make a clear point.